‘Lean’ philosophy has been prevalent in the manufacturing industry as an effective tool for elevating competitiveness of organizations. Lean Production is an assembly-line methodology, which mainly focuses on eliminating waste within the manufacturing system and promoting efficiency. Lean tools like kaizen, JIT (Justin-time), VSM (Value stream mapping), 5S (workplace organization methodology - especially a shared workplace), SQC (Statistical Quality Control), preventive maintenance and total employee involvement, eliminates the wastes in all manufacturing industries. The core idea of Lean is to maximize customer value with fewer resources and factory floor data as actionable intelligence, thereby resulting in a perfect value creation process that has zero waste. As such, lean strategies strive to reduce inventory through better communication about production processes which in turn save money and boost productivity. The Lean methodology also creates a system of continuous improvement in quality, technology, processes, company culture, productivity, safety and leadership. Businesses in all industries, including healthcare and governments, are using lean principles to respond quickly to changing customer requirements with high variety, high quality, low cost, and fast throughput times. 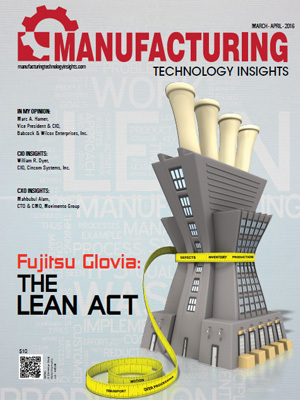 There are scores of solution providers in the lean manufacturing arena. Our selection panel has evaluated these providers based on their ability to assist CIOs and enterprise holders overcome the challenges in the sector. 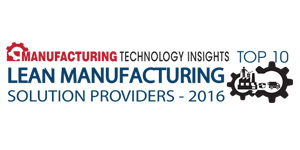 We present to you Manufacturing Technology Insights’ Top 10 Lean Manufacturing Solution Providers 2016.